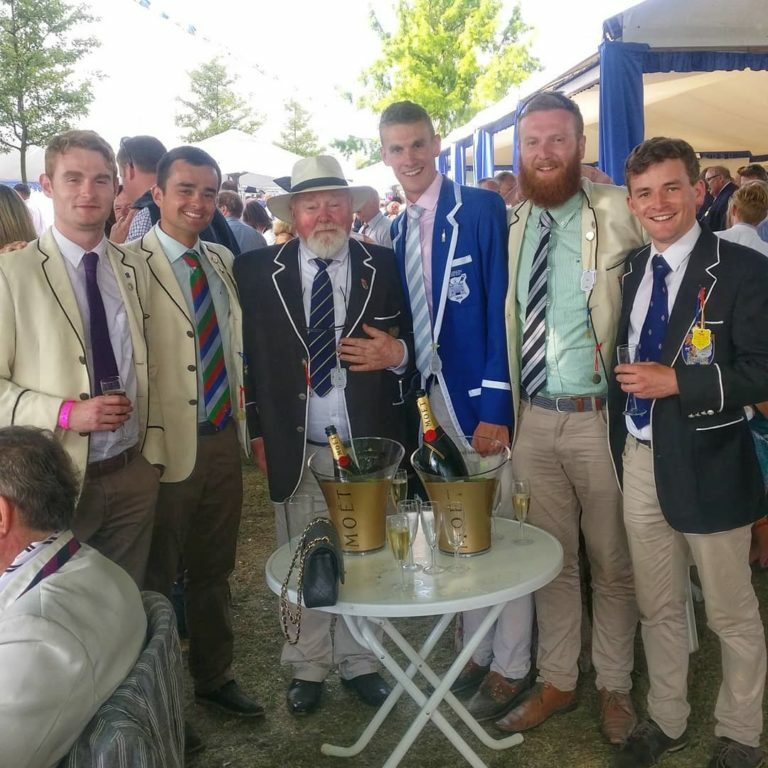 Read about the Boat Club’s progress this term in Trinity News: Beaten by Cornell’s lightweights but closer to the elusive Henley medal, Rowers begin time-trial season, The Dungannon Dynamo,Rowers plan training camp in Spain. It is nearly time for the Christmas break, with term finished now and the exam week begining on Monday. Currently, the Club is in a very strong position, with two very dedicated and strong first year novice crews training regularly on and off the water. This year, they are being coached by former Eton schoolboy and rower, Ali Floyd, a first year Trinity student who has already proven himself an invaluable resource. We also have a strong contingent of second year novices comprising our Intermediate Squad, under the guidance of John Mohan. John seems pleased with their progress in the boats and I am happy with the level of dedication and positive attitude of the crew- they all seem ready transform the dissapointments of last year into success this season. 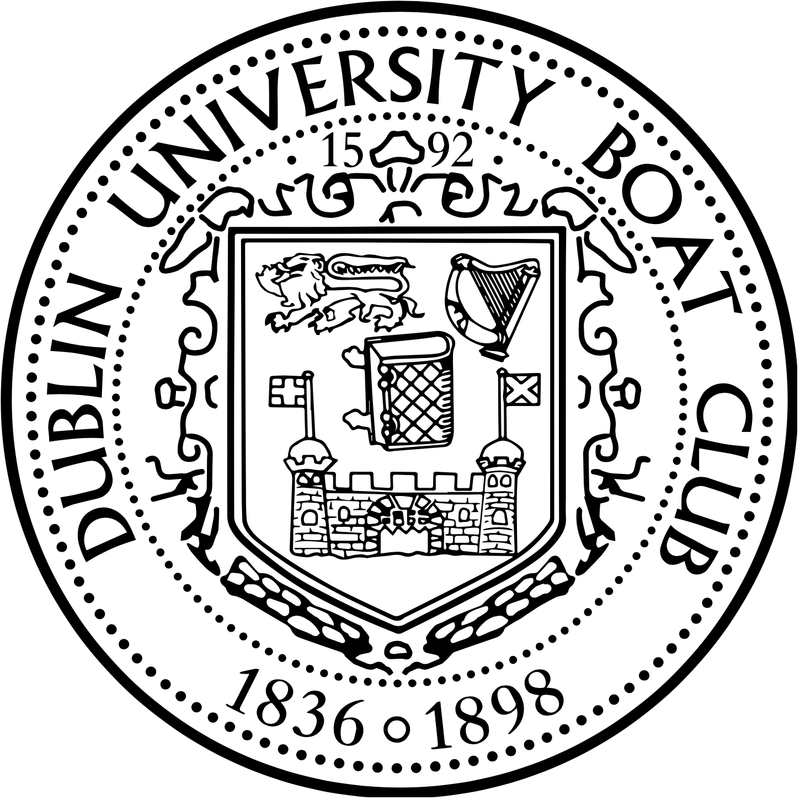 The DUBLIN UNIVERSITY BOAT CLUB AGM will be held on Friday, Oct. 27th at 7pm in the Conversation Rooms of the DU Philosophical Society. All members, including first year novices, are encouraged to attend. At the Irish National Championship at Inniscarra this weekend, Trinity secured the Intermediate Eights pot with some fine rowing. They finished ahead of the fancied Belfast Rowing Club, Thames Cup semi-finalists, in a nail-biting finish, with the verdict a one second margin. In the Senior Eights final Trinity finished fifth, one length of clear water behind Neptune, with three composite crews medalling. An intermediate pair of John McCabe (bow) and Gavin Doherty performed well, reaching their final to finish fourth. David Cummins and Gabriel Magee both sculled well in their respective categories, with Dave progressing through the heats of both the inter and lightweight sculls. The Novices unfortunately failed to make the final of the eights amidst tough competition. One of the three fours entered reached the final, but again came up against tough opposition, and it was not to be there day. Nevertheless, much potential has been shown by the group, and their enthusiasm will bring them many wins in the seasons to come if they continue to improve at such a rate. Many thanks are due to their coaches, John Mohan and Nick Mahony. Many thanks to all who came to support in Cork. The present Committee wishes the Captain-elect, Gabriel Magee and his Committee-designate all the best in their preparations for next season. Trinity were defeated by the eventual runners-up, Cornell of the USA, by half a length on the Friday. As those going to Cork are reminded to bring money for their accommodation (90euro) and their race entry fees (12euro per race) to training on Saturday. Trinity beat Birmingham University by 3/4 of a length in 6 minutes 55 seconds. Tomorrow they race Cornell University, USA at 3.20pm (on the Berks station). In a heat of the temple Challenge Cup, Trinity College Dublin, racing on the Bucks station, beat York University by 2 lengths in a time of 6 minutes 53 seconds. They will race Birmingham University at 10.30am tomorrow, on the same station. Congratulations to the Novice IV+ who finished first at Athlone Regatta on June 17. The Novice VIII placed fourth in their final. Well done to all crews. The average weight of the crew is 13 stone 2 pounds. At an E.G.M. of the Club on Friday 19th May, Gabriel Magee was elected as the next Captain of the Club. This takes effect as of the end of A.G.M. at the end of October. Congratulations to him. This weekend DUBC will be competing in the Ghent International Regatta 2006. The club will be entering a Senior Eight, two Senior coxed Fours and two Single Sculls. We wish the best of luck to all of our boys competing. The bus to Limerick will be leaving Nassau Street at 12 o’clock on Thursday. The cost of the trip is 75euros, including accomodation. We will be returnig to Dublin on Saturday evening. At Neptune Regatta last Saturday, the Intermediate Eight beat B.R.C. and U.C.D. to win. At Commercial Regatta on Sunday, an Intermediate Four beat another DUBC Intermediate Four and Tribesman to win. The Senior Eight lost to Commercial on Saturday and did not row on Sunday. Congratulations also to those who won races in the pairs and sculls. A Gourmet Luncheon will be served in the Long room at this years Trinity regatta on April 22nd. Due to limited places those wishing to attend would be advised to contact Rory Browne (brownerg@tcd.ie), the Regatta secretary, immediately. Tickets are 60 euros per person. Thank you to all those who helped in the organisation of the Gannon Cup yesterday. The Novice VIII lost by six lengths. The Senior VIII won by half a length. The Senior VIII will be racing in London at the Head on Saturday 25th March. We start 76th, at 11.20am. If you are in London please come and say hello. Many congratulations to the Novice ‘B’ crew who this evening defeated their UCD counterparts by 3 lengths, above the weir at Islandbridge. Could all those kindly helping out with the stewarding please consult the chart on the board in front arch with your start times. The meeting for those stewarding for the Gannon this Saturday will take place tonight at 8pm in room 4053 of the Arts block. At Erne Head on Saturday, DUBC will race a Senior Eight, an Inter Four and two Novice Eights. The bus for all will leave at 8am sharp from Nassau Street. Please bring with you €13 to pay for this. Congratulations to all who rowed at Lagan for some good performances; the Intermediate Four finished third in its category, and the Senior Eight finished second overall, four seconds behind Queens Belfast. Seniors and Novices will be travelling up to Enniskillen on the 3rd of March for Erne Head. Lagan Head- the bus to Belfast will be leaving Nassau Street at 5.30am sharp on Saturday morning. The cost will be around 12euros. The deadline for IARU membership forms was Saturday 11th February. Anyone who still hasn’t completed a form must do so straight away and leave it with Jonny or into House 16. Information on the format of the Umpire’s exam is available here. The syllabus for the exam is in three parts, Rules of the Championship, Rules of Competitive Rowing and Rules of University Championships. All rowers who wish to compete this year must complete an IARU membership form, which is available from Jonny, by Saturday 11th February. Anyone wishing to pay for Trial VIIIs tickets, a bargain at €40 can do so in Rooms (16.1.1) on Thursday between 10am and 2pm. Please spread the news. Having returned from a very successful training camp at Cappoquinn in the New Year, DUBC are now preparing for Dublin Head on the 4th of February. This will be followed by Trial VIIIs, with races at 3.30pm, the photo at 5pm and dinner at 7pm. We hope to see many of you there. For tickets contact Rob Swift (swiftrj@tcd.ie, 00353857233266) The cost is €40.